Starkville Restaurant Week isn’t just about good eats. It’s about how good eats do good! For the sixth year, the Starkville Convention and Visitors Bureau is honored to raise awareness about local charities doing good work in our community through the Starkville Restaurant Week $5000 Charity Prize presented by Cadence Bank. Nominations from area residents this year included an unprecedented variety of non-profit organizations impacting the Starkville and Oktibbeha County community. We were excited to see support for so many charities that have never been nominated before. Earlier this week, the SCVB Board convened to review the nominations and make a final determination of our Top Three Charity Finalists. We are proud to present the results here. Congratulations to these deserving charities! Mark your calendars now for April 22-29 when you’ll have the opportunity to cast your ballot for which of these three charities will receive the $5000 top prize! Christian World Missions headquarters is located in Starkville, MS and although they minister across the United States and around the world, the organization also feels that it is important to be involved in the spiritual growth of their our local community. In addition to Bible studies, worship and other events at the CWM facility, they also work with local churches for spiritual renewal events, retreats, concerts, leadership training and more. 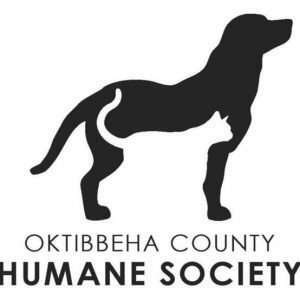 • OCHS Express: OCHS operates a regional transport program, driving adoptable homeless pets from Mississippi shelters to partner shelters with an abundance of space and adopters. • Dog Licensing: The City of Starkville requires all dogs kept in the city limits to be licensed each year. The United Way of North Central Mississippi is an organization comprised of dedicated volunteers from all walks of life who are committed to promoting positive change in our community. Leaders and volunteers understand that people want to make a difference where they live and work. The United Way of North Central Mississippi seeks to build partnerships that make a positive impact, focusing on producing bottom-line results that change lives and shape our community. 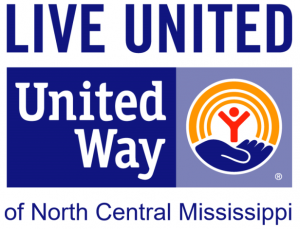 One of more than 1,400 independent United Way organizations across America, the United Way of North Central Mississippi was established in 1979 and is chartered by the State of Mississippi as a non-profit corporation. The organization exists to meet the needs of people in Oktibbeha, Choctaw, Webster and Winston counties through its 15 member agencies, which serve the people of this area by providing a wide variety of programs and services. CONGRATULATIONS to these very deserving local organizations committed to doing good work in our area! We’ll be sharing interviews and more of their work leading up to Restaurant Week when you, our eaters, will be making your voting decisions! Thank you to CADENCE BANK for supporting Starkville Restaurant Week as our grand prize Charity Sponsor. Cadence Bank will be awarding $5000 to the charity that receives the most votes during this year’s seven days of great eats — April 22-29, 2018! In addition, the 2nd place charity will be awarded $1000, courtesy of Vollar Lang Law Firm, and the 3rd place charity will be awarded $500, courtesy of Ross & Kelley Attorneys. During Starkville Restaurant Week, everybody wins — each of our three deserving charities and YOU, our local eaters!